A fire in your facility is never pleasant. But, it doesn't have to be debilitating. Carbon dioxide, the original “clean agent”, is still an economical solution, providing automatic or manual protection for Class A, B or C fires. 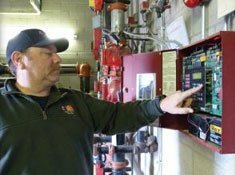 A fire in your facility is never pleasant. But, it doesn’t have to be debilitating. Carbon dioxide, the original “clean agent”, is still an economical solution, providing automatic or manual protection for Class A, B or C fires. The only gaseous agent capable of deep seated Class A hazard protection, versatile CO2 can flood enclosed areas or discharge directly onto burning surfaces. Intelligent control panels and detectors, such as an AUTOPULSE® Control System, offer alarm, auxiliary control and automatic release. To help ensure safety, all personnel must be trained on the CO2 system and warned not to enter the hazard area during discharge, or until the area is cleared. Your fire protection partner, ANSUL® continues to lead the fire suppression industry with a full range of quality solutions and specialized products backed by a worldwide network of the most qualified distributors in the industry. Make ANSUL the exclusive fire protection brand throughout your business. 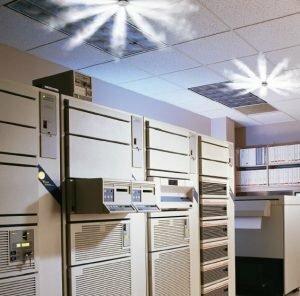 From carbon dioxide fire suppression systems to extinguishers and agents, no one else promises the full range of solutions and quality of ANSUL. Plus, all products are backed by a network of factory-trained distributors – the largest in the industry. Choose to protect people and assets with the name you know. Choose ANSUL. 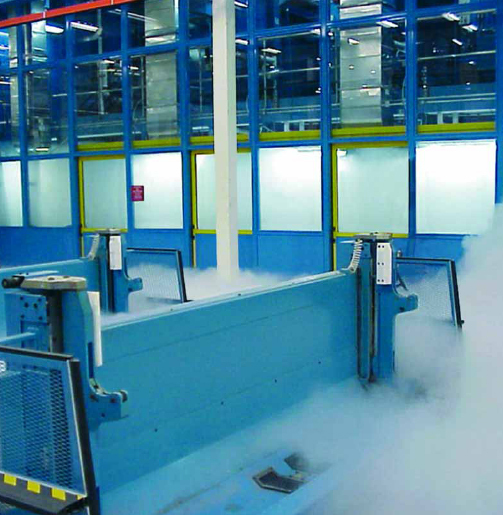 ANSUL High Pressure Carbon Dioxide Systems are especially effective for non-occupied hazards such as semiconductor wet benches, control rooms and paint lines. 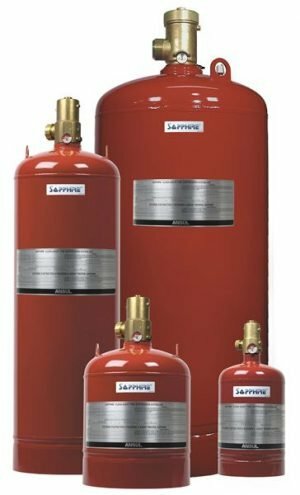 Whatever the application, from cylinder to nozzle, each system is custom-designed for your specific fire hazards. High pressure systems use individual storage cylinders – from 35 lb. (16 kg) to 120 lb. (54 kg) capacity each – that can be manifolded together for rapid simultaneous discharge. Cylinder valves can be opened automatically or manually, and either locally or remotely using electric, pneumatic or mechanical valve actuators. 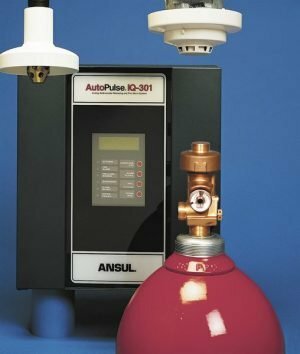 ANSUL PREFERRED Bulk Low Pressure Carbon Dioxide Systems are ideal for non-occupied fire hazards requiring large amounts of extinguishing agent in a limited space. A single bulk tank can store from 3/4 to 60 tons (680 to 54430 kg) of carbon dioxide, which is maintained in a stand-by fire-ready state. This allows the system to provide effective distribution of agent on demand. Bulk low pressure CO2 systems offer multiple discharge capabilities between recharges as an economical option. The liquid CO2 is stored in an ASME-coded pressure vessel equipped with its own refrigeration system. The temperature within the vessel is kept at approximately 0ºF (-17ºC) by maintaining the internal pressure near 300 psi (20.7 bar). Valve control is electro-pneumatic or manual. Each master and selector valve assembly consists of either a ball or butterfly valve, a spring return pneumatic valve operator and a three-way electronically operated solenoid valve. A listed and approved releasing control panel is used to provide automatic detection and control. 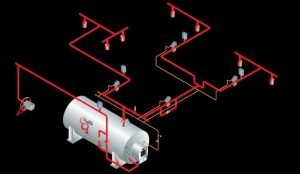 Bridging the gap between high pressure cylinders and low pressure bulk tanks, mini-bulk tanks offer capacities of 1,000 and 1,500 lb. (454 and 680 kg). 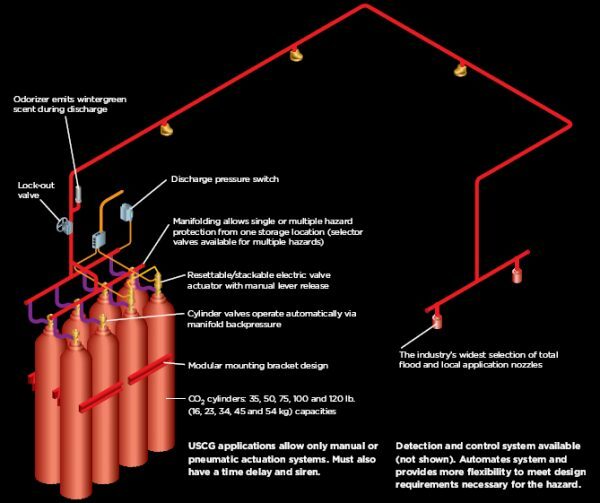 The ANSUL PREFERRED Mini-Bulk Low Pressure Carbon Dioxide Systems were developed to provide an alternative to manifolding high pressure cylinders. The tanks are configured vertically to save valuable floor space: mini-bulk tanks can provide protection for non-occupied total flood, local application hazards, hose reels or custom designs such as inerting or spurt systems. Each mini-bulk tank is equipped with a low-cost, high-efficiency, air-cooled refrigeration unit. The refrigerant media, R134a, is environment-friendly and is very efficient in this application. 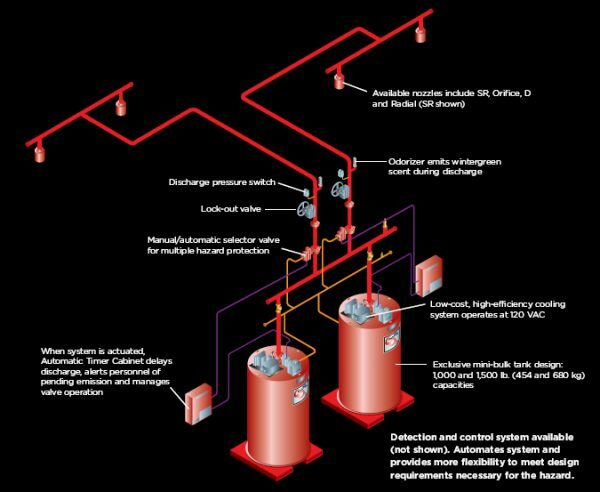 Most system components are interchangeable between the mini-bulk system and the larger bulk storage tank system. The system control valves operate on 24 VDC, which is compatible with most approved releasing panels. Mini-bulk tanks can be filled in place or can be removed for remote filling. When filling in place from a standard delivery truck, fill connectors can be extended to an area outside the building. The storage tanks are provided with skid-mounted bases for easy handling with a forklift.